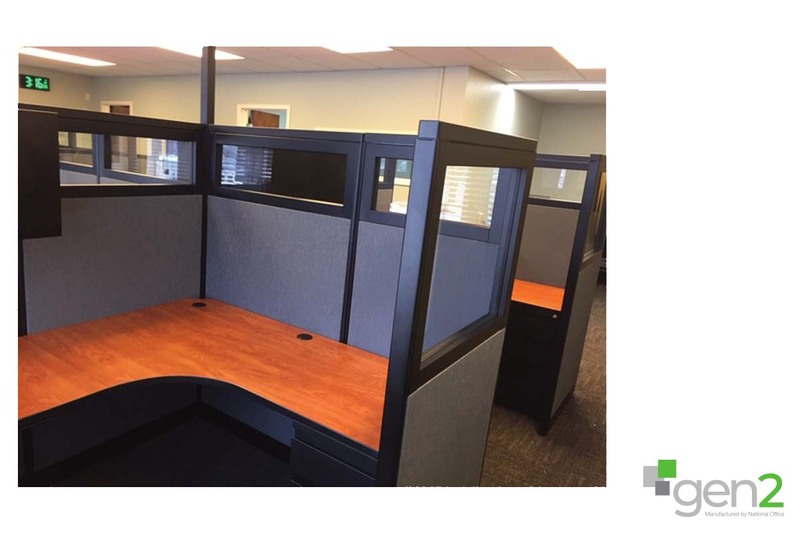 The customer wanted to upgrade the overall look of the office and add additional workstations in what was a tight space. The customer already had 6 workstations in the main office area, the challenge came in that they wanted to add 2 more workstations. The design needed to be in such a way that there was privacy at the workstations but also better sight lines throughout the office. Being a government office, they requested that the workstations all face towards the entry door. They also had a copier and lateral files to fit in the office. The use of 42” and 53” high panels with glass above provided them with the privacy needed and sight lines requested. The customer was very happy that we were able to meet all of their design needs.